First at all i want to say that im a German guy in Thailand and not a english teacher. So please don’t expect “oxford-English”! Hello and sawadee krap from the land of many smiles. Today i want to report about Chiang Mai at north Thailand in Asia. I have bin at Thailands 2nd biggest city in the end of august 2008. My wife and I was going from Koh Chang to the north of Thailand. We was starting at our bungalow on Ko Chang at about 9am. We was going first from Klong Prao Beach to the pier in the north of the island. From Leam Ngop (pier mainland) we took the 12 oclock TAT bus to to Bangkok (need about 5-6 hours). From the Capital we took the night train at 10pm to Chiang Mai. We arrived on next day at 12:30 the train station in Chiang Mai. The run was long but nice, we don’t get any sleeping cabin because it was fully booked. So we was driving 2nd class on a chair. Open windows and the most of the time surrounding by rain forest. The sunrise in the morning was nice to see in the jungle over the teak trees. I used the Lonely Planet for Thailand for this trip. Totally tired but happy to survived we gone to the taxi stand at Chiang Mai station. Moun and me was staying at the Winner Inn Hotel in central-CM. 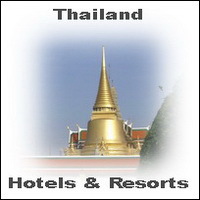 It was 500 Thai Baht each night for a double room with hot water, frigde and air condition. If you like to stay direct in the old town, than are “The Garden Guest House“, “Fuengfa Place” or “Maa-T-Nee GH” good options for cheap accommodation. 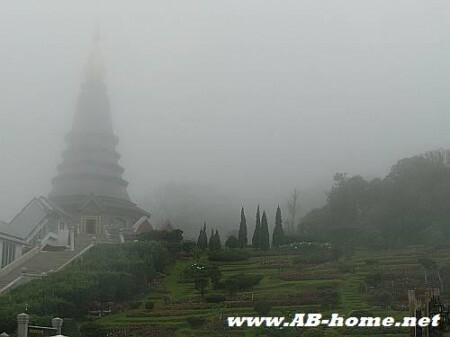 At most i liked at Chiang Mai the Doi Inthanon National Park which is round about 80km away from CM. 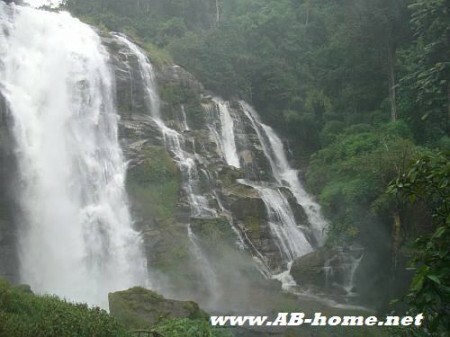 In this park is are really big and spectacular waterfalls. You can not get closer than 50m without getting wet. The beautifulest falls here at Doi Inthanon are the Vachiratharn Waterfall and the Nam Tok MaeYa Waterfall. As well the highest spot in Thailand is located at the Doi Inthanon national park, with 2565m above mean sea level is Doi In the highest mountain in the Kingdom. On the top it was about 14 C, so really cold for old Siam. The park is really famous for the 400 bird species, nowhere else in Thailand you can find that much. Everywhere on the street are orchids and we was surrounding of evergreen rain forest. The mountains keep soft clouds in the slops. Beautiful! Than we was going to a Karen village to visit the minoritys in the mountains. If you want to watch more waterfalls around here you will like the Monthathan Falls on Doi Suthep and the Mae Sa Falls in Mae Rim about 15 km out of town. After we was driving to the “Great Holy Relics Pagoda of Nabhamethalidol – Nabhapolbhumisiri”. Here You can find two big pagodas and a huge lay outed flower gardens with the same kind of blooms that you can find in the temperate climate zone, because of the low temperature on the mountain they grow brilliant. The Thai royal air force built this constructions for memorial of His Majesty King Bhumipol 9th and for HM the Queen, the Mother of the Thais. On the next day we was driving with the scooter to the “Wat Phrathat Doi Suthep Rajvoravihara” temple on “Doi Suthep” mountain about 15 km out of Chiang Mai. The 300 steps to the top of the temple are a little challenge. But it was worthwile! The temple is one of the most beautiful Buddhist temples i ever saw. It is worthwhile actually alone for the nice view over Chiang Mai city. We was burning some scent sticks and three candles for a good karma. After we walked three times around the golden pagoda to get protection and good luck for this journey. On the way back we visited the Chiang Mai Zoo. If you like Wat DS than you will enjoy as well the Wat Chiang Man, Lok Molee, Wat Morntheran and the Phra Singh Temple which is the most visited Wat here. Another highlight for friends of Buddhist temples is the Wat Srisuphan silver temple where you can have a Chat with Monks about Thai culture, the life as a Buddhist monk in northern Thailand and many other topics. At night Moun and me was going to the night bazaar to eat yummie Indian curry and some kao pat kai (fried rice and chicken). For western food on the night market i can recommend the “Daddys” Restaurant and O’malley’s Irish Pub. I was buying some t-shirts and some souvenirs. Another tourist attraction is the Sunday walking street market where you can buy as well souvenirs and handicrafts. On the same road are some nice coffee shops like the “Doi Chaang” or the “Ratchadumnern Cafe” where you can rest for a while. An other nice place to flee from the fumes is the Suan Buak Haad Park in the south of old Chiang Mai. As well for tourists who like night life in Chiang Mai the right destination, around the city are many disco’s, A GoGo bars and cozy Pubs with live music like the “Cafe del Sol” in the center of old Chiangmai. The most bars and western Restaurants you will find near the Pratu Tha Pae gate on the east end direct on the city moat. A nice Restaurant here at Tha Phae is the “Dada Kafe“. If you are looking for day trip possibilities from here than are Chiang Dao, Bor Sang handicraft village, Ban Thawai/Hangdong villages, Doi Inthanon national park and Doi Suthep good destinations for a pleasant day. For tourists who like to make sports at holiday i can recomment the Huay Tung Tao Reservoir for a day away from the fumes and pollution of the city. For all cultural tourists has CM a good variety of Museums and Exhibitions. The prices are mostly low which make a visit at the most Museums worthwhile and possible as well for families and individual tourists. Good addresses with nice exhibitions are CM National Museum, Chiengmai City Arts & Cultural center which tells the history of CM, World of Insects and the Tribal Museum. Its a clean (compared to other big cities in south-east Asia) metropole with a lot of history. You can find many sights and Chiang Mai have many corners to explore. The people and the atmosphere are much more relax and friendly than Bangkok. Many locals speak English, its easy to communicate with the Thais because if they speak English the English is very easy and for everyone to understand. Like everywhere in Southeast Asia the peoples try to help you if you get lost or need any other information. The “capital of the north” have a healthy mix of locals and foreigners, so its pleasant to travel. Chiang Mai is famous as well for many kinds of Thai-culture and Thai Language classes. Visit CM, You don’t will regret this holiday in north Thailand! For new Reports of this travel blog click here!